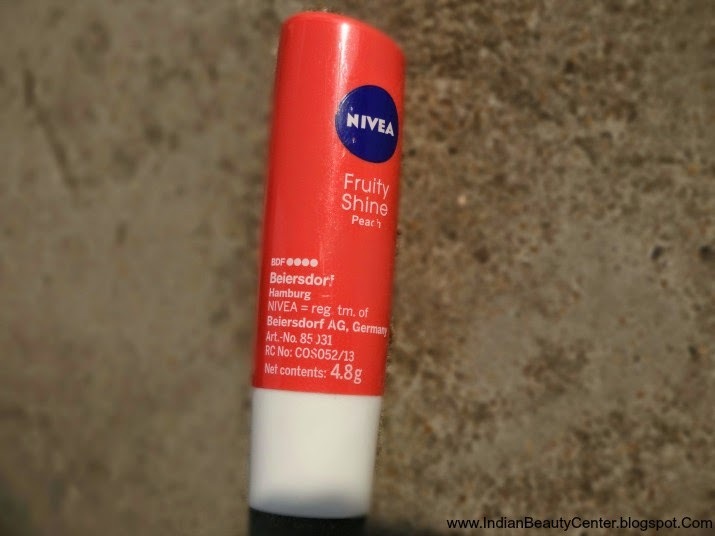 Nivea Fruity Shine Lip Balm - Peach Review - For juicy lips? Product Information- The innovative formula of Nivea Fruity Shine with Peach extracts and shimmering pigments provides long-lasting moisturization and an exciting fruity scent leaving a touch of delicate colour on soft and smooth lips. Delights young delicate lips with a fruity scent and smoothing, long lasting care. Naturally Enhances your lips with shimmering pigments and a soft glossy color. Contains SPF 10 protection against UVA and UVB rays. Skin compatibility dermatologically approved. 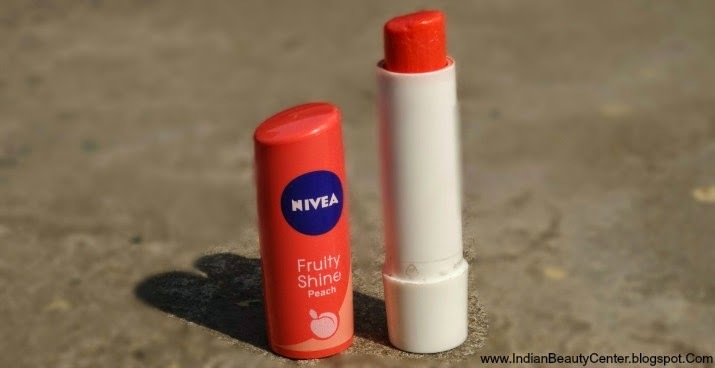 NIVEA – for lips that love to talk, smile, laugh and kiss. Final Verdict- This is a lovely shade and suits my lips very well and I am sure that it would suit most skin tones easily. 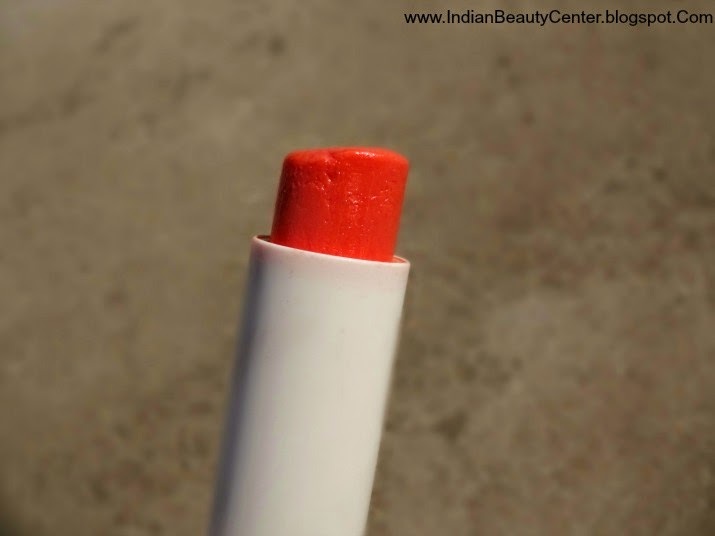 It also moisturizes the lips well and smells yummy! I definitely recommend it to all of you but do not expect it to miraculously heal the lips or something. This is just a nice fancy lip balm for temporary and short-lived protection. SPF content is an added advantage. For me, however, maybelline baby lips are always a winner! I wish these lip balms could have been little more pigmented. 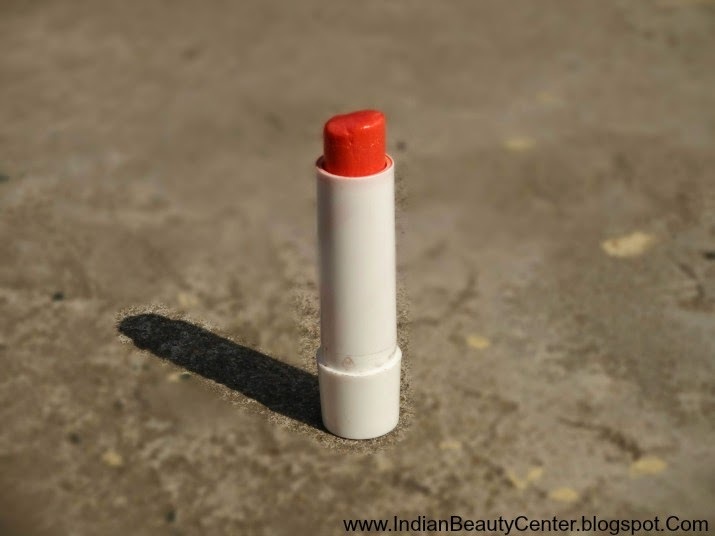 Fruity fragrance is what I love in lip balms.. so yummy..!